The Context of White Supremacy hosts the seventeenth and final study session on former South African President Nelson Mandela’s autobiography, Long Walk To Freedom (1994). Gus believes this has been an opportunity for Victims of Racism to learn more about the region of South Africa and the business operations of White Terrorism in this location during the 20th century. Last week’s segment reviewed Madiba’s release from prison and the manipulative efforts of President F. W. de Klerk to maintain a more covert, refined system of White Supremacy. Madiba traveled to Alaska, New York, England and other spots on the globe to discuss the value of Justice and the Racist injustice of South Africa. This week’s session examines the continued “negotiations” between the African National Congress and de Klerk’s National Party. Anti-black violence continued unabated, unpunished. 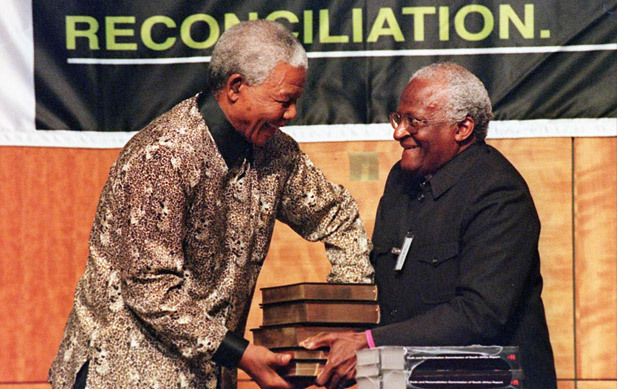 We’ll follow Madiba’s election to President, but will not cover any aspect of the Truth & Reconciliation Commission. By ending with the inauguration of a black president, the gruesome details of White Terrorism are conveniently forgotten. Previous Previous post: African Americans Ain’t Africans Radio Presents: How Satan worship has infiltrated the African American community.